How well do you know Vocaloids? Let's start easy. Very easy. Who is the most known vocaloid? Who is the first male vocaloid? Who is the first female vocaloid? What lesson does Hiyama Kiyoteru teach? Who is the voice provider for Big AL? Are Kagamine Rin and Kagamine Len twins? 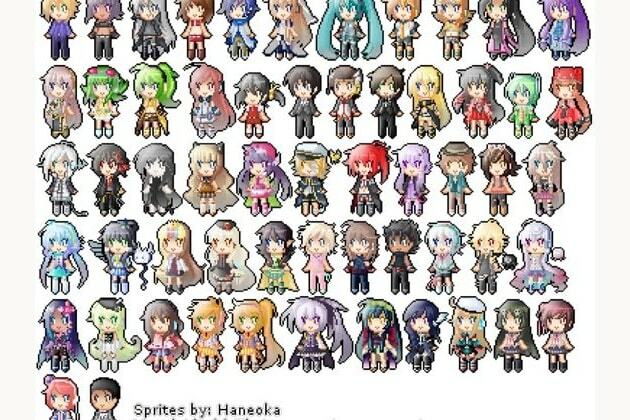 You have just known Vocaloids. Or maybe you just didn't researched Vocaloids that deep yet. But you are interested in Vocaloids and maybe all you know is Cryptonloids, i don't know .-. But you'll get there and be deeper into the community! You've known vocaloids for quite a while now, or mqybe you just researched deeper already when you just started liking vocaloids. Either way, you're getting there! Maybe that article you read wasn't 100% true, who knows? You've known Vocaloids for a long time. You've listen to almost all vocaloids voices. You know the history of vocaloids, what languages there are, all that! You've researched deep down, and you're deep in the fandom. All you listen is vocaloids, you listen to vocaloids everyday, in your conversation with someone there will be the word "vocaloid", you've made at least 2-3 vocaloid accounts or more, you are truly OBSESSED with Vocaloids and not just one of them, you can't even decide who's in your top 5! It changes every week or you just don't know who to choose. You think you know Vocaloids well? Let me test you!